Faculty Member, Massachusetts Continuing Legal Education, Inc.
Mr. Jeffery’s practice is focused on representing debtors, trustees, and creditors in complex Chapter 11 cases, and the representation of debtors and creditors in non-bankruptcy restructurings and workouts. Mr. Jeffery has represented debtors, creditors committees, and secured and unsecured creditors in bankruptcy and other insolvency proceedings in courts in most states along the Atlantic seaboard. 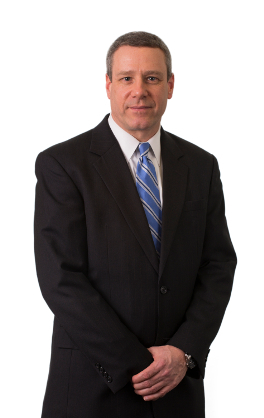 Mr. Jeffery represents plaintiffs and defendants in commercial litigation in bankruptcy proceedings and other litigation matters relating to the debtor-creditor relationship. Counsel to debtor in out of court workout and re-capitalization of biotech company. Counsel to debtor in out of court workout and re-capitalization of wind farm company. Counsel to debtor in confirmed Chapter 11 reorganization involving multiple parcels of luxury vacation real estate. Counsel to primary creditor in Chapter 11 of structural steel manufacturer. Counsel to real estate holding company in Chapter 11 proceeding of affiliate. Counsel to debtor in Chapter 11 of telecommunications provider. Counsel to estate representative in bankruptcy of acute care hospital and affiliated entities. Counsel to receiver for multiple for-profit schools. Representation of real estate holding enterprises in Chapter 11 proceedings. Counsel to creditors and/or creditors’ committees in, among others, the health care, high tech, telecom, and clothing industries. Counsel to estate representative in bankruptcy of manufacturing enterprise conducting a complex multi-million dollar ponzi scheme. Representation of secured creditors in bankruptcy proceedings involving, among others, the printing, telecom, and real estate industries. Representation of estate representatives, plaintiffs, and defendants in lawsuits involving breaches of fiduciary duty by officers and directors, preference and fraudulent conveyance litigation, litigation arising from leveraged buyouts, breach of contract, unfair and deceptive business practices, and construction claims.